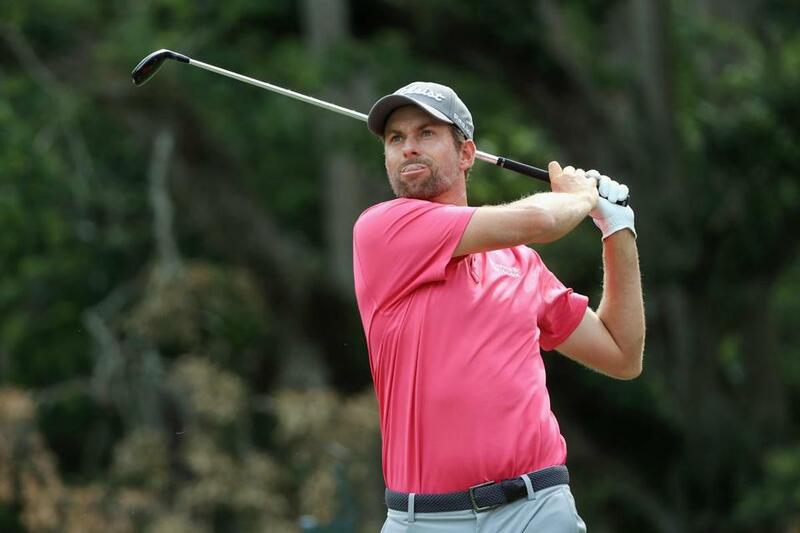 A few mistakes in the final round did not stop Webb Simpson from a runaway victory at The Players Championship. Staked to a seven-shot lead, no one got closer than four shots of Simpson, even after a double bogey on the 18th hole when his only concern was finishing the hole. He closed with a 1-over-par 73 for a four-shot victory and his biggest win since the 2012 US Open at Olympic Club. Tiger Woods made another big run. So did Jason Dufner, Jimmy Walker, and Danny Lee. None could do enough to catch Simpson during record scoring in the final Players Championship in May. His only big mistake didn’t even matter. Simpson’s approach to the 18th bounded across the green and into the water. He closed with a double bogey, but that only made the final margin closer than what it really was. ‘‘I'm very proud to have gotten there, but it means more to me how long I can hold it,’’ Thomas said in a text message. Woods, who made the cut on the number — helped by Thomas and Jordan Spieth making bogey on the 18th hole Friday — got back to the first page of the leaderboard with a 65 on Saturday and ran off six birdies through 12 holes in the final round. He was tied for second at one point, still four shots behind, but that was as close as he got. Woods made a soft bogey on the 14th hole when he missed the green with a sand wedge, and was well short of the island green in making double bogey on No. 17. ‘‘I hit the ball better today than I did yesterday, and I obviously didn’t end up with the score I needed to,’’ Woods said. The final edition of May was one for the record books. Simpson tied the course record with a 63 in the second round when he seized control — even with a double bogey from the water on the 17th — and he tied Greg Norman’s 54-hole record from 1994 at 19-under 197. Simpson set a record for the largest margin through three rounds. Brooks Koepka became the eighth player with a 63 on Sunday, which featured an albatross 2 on the par-5 16th. He had struggled from the start of 2016, when golf’s ruling bodies outlawed the anchored stroke that Simpson used for his belly putter. He had gone to a longer handle that ran up the left side of his arm, and then Tim Clark gave him the missing link. It was at The Players a year ago when Clark suggested he also use a claw grip, and Simpson has been working his way back to the golf he expects to play. ‘‘It’s pretty special that a year later, I got this victory,’’ he said. To win it on Mother’s Day nearly brought him to tears. Simpson lost his father in November, and it was the first time his mother was without him in North Carolina. Simpson said it has been hard on her, along with his siblings.